“The same ones who shot down our prophets, my people? / The same ones are pulling in the profits, my people / The blood on the ball that the player kicks will be the same blood spilled in ‘76…” – it doesn’t sound like your average hip-hop number. Robinson is better known as EWOK, a well-known Durban-based hip-hop and spoken word activist, who has effectively used these as well as other art forms to galvanise people on a wide range of issues. 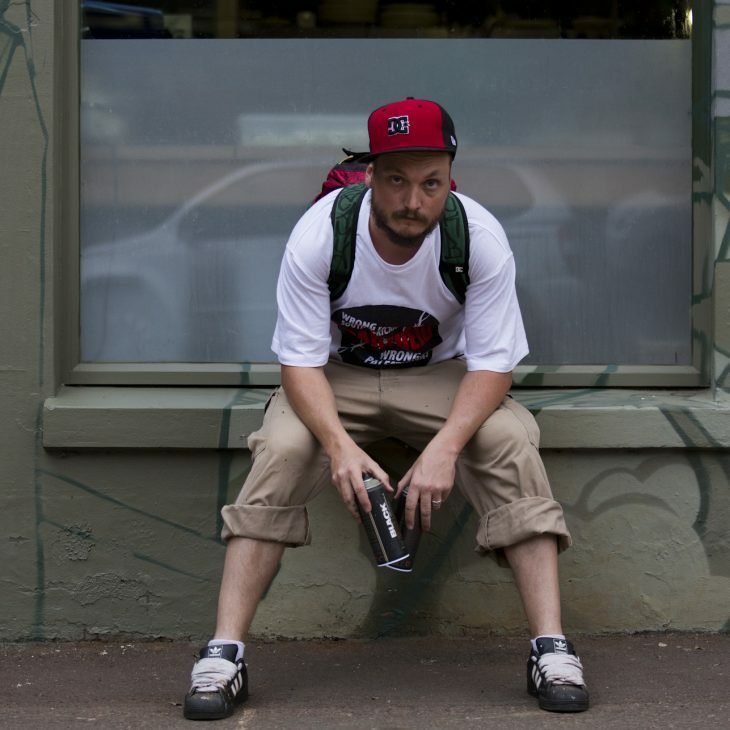 He uses aerosol artwork and graffiti-styled murals to draw attention to a range of issues, usually working through recognised civil society organisations, painting around their concerns and actions. He has painted banners and canvasses for environmental and social justice groups such as the Indigenous Peoples Movement for Self Determination and Liberation, at COP17 for climate justice, and he also paints for Palestine every year. “These same groups and similar others are represented in my lyrics as well,” he explains. The majority of Robinson’s work is connected with his position as a Dennis Brutus Community Scholar at the Centre for Civil Society at the University of KwaZulu-Natal. The 33-year-old has an impressive CV: he has authored five one-man stage shows and two anthologies of poetry. He has also co-produced four albums of recorded music and the spoken word and has performed in Colombia, Holland, Germany, Sweden, the UK, Zimbabwe and Mozambique. Copyright © 2015 Mail & Guardian. All rights reserved.